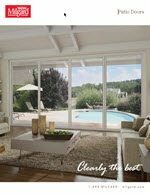 Milgard is one of the largest and most trusted names in windows and doors. Whether you're doing a full home remodel, new construction, or replacement, we have windows and doors in shapes and styles that can be used in combinations to improve the beauty, comfort and energy efficiency of your home. 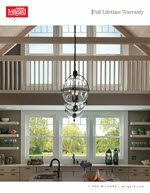 Milgard windows and doors are custom made-to-order and designed to make a statement in virtually any home. 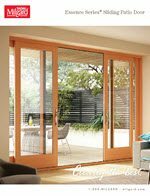 Designed to perfectly complement the rich, warm wood interiors of Essence windows, the new Essence Series sliding patio door is built with natural wood and a tough, durable fiberglass exterior. Not only is it beautiful, but you will enjoy the smooth operation and superior performance for years to come. And like Essence windows, this new patio door is backed by the Milgard Full Lifetime Warranty including Glass Breakage Coverage. Enjoy an industry-leading warranty that is clear, easy to understand, and provides the best support possible.